Here's the problem. 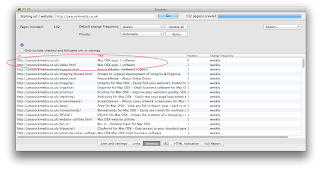 Scrutiny is finding the same page on your site twice, each with a different url, and including both in your sitemap. 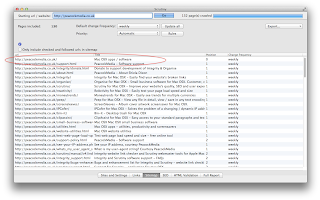 Duplicates in your xml sitemap may not be such a problem according to Google. However, the same article explains that Google like to know which version of your url they should rank and which page they shouldn't. You can see in the screenshot above that the index page in this example now has the canonical href. After re-crawling the site, the problem at the start of this article has gone away. 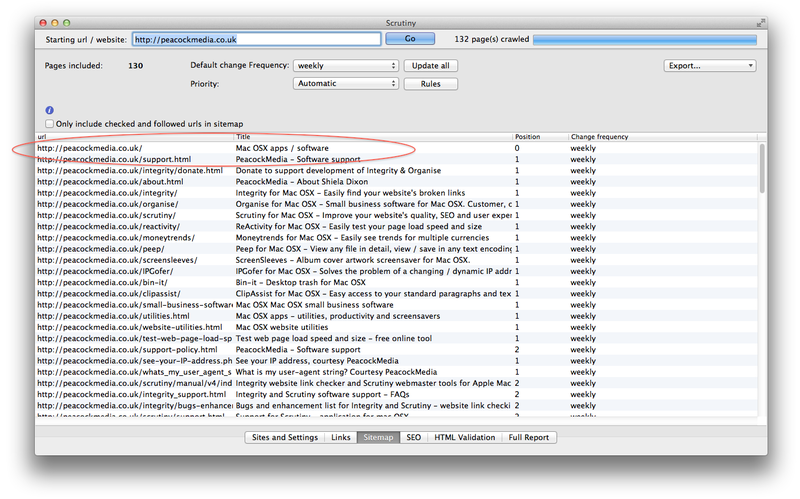 Scrutiny's Sitemap tab now only excludes pages where canonical (if present) doesn't match the url of the page. 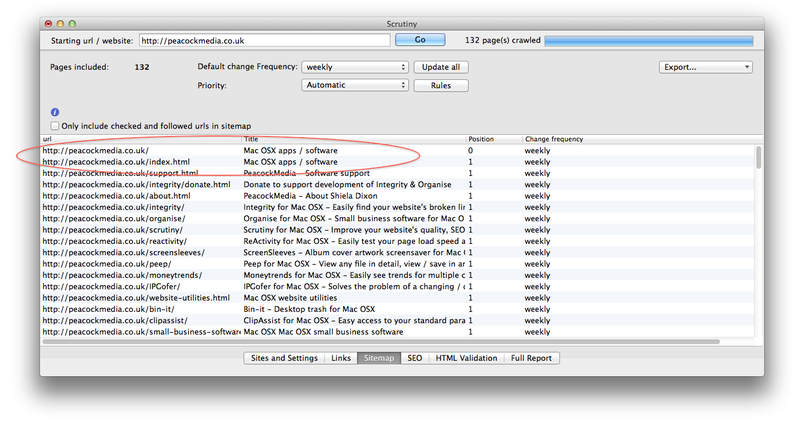 When I export my XML sitemap, only the http://peacockmedia.co.uk version will be included.